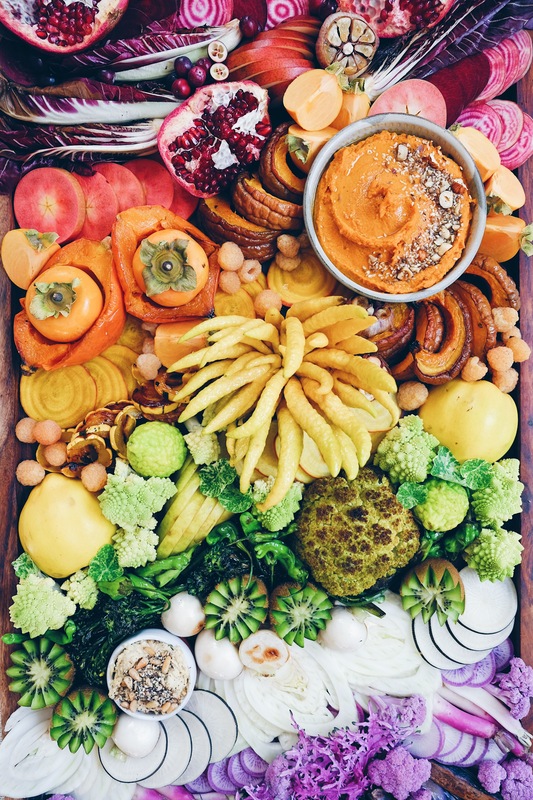 I had SO much fun collaborating with my talented friend, Shannon Sims of Food Art Love, on this rainbow snack board shoot. 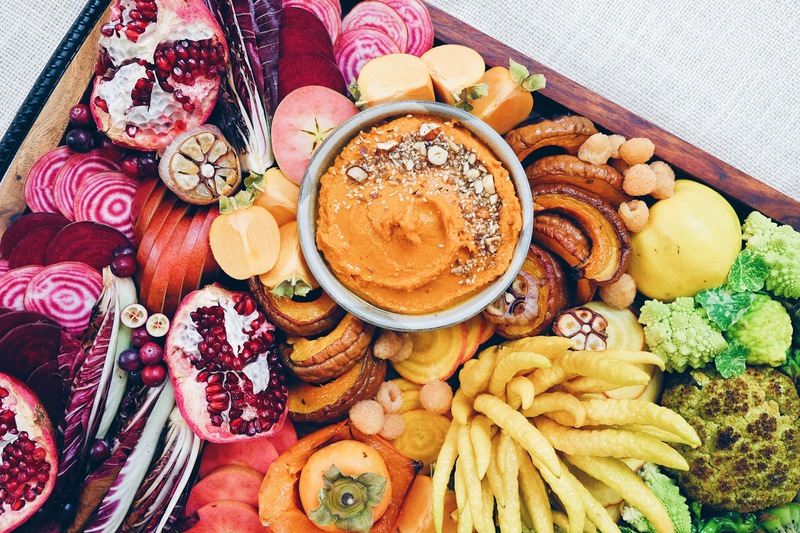 Everything I know about making an insanely gorgeous spread of snacks I’ve learned from Shannon. 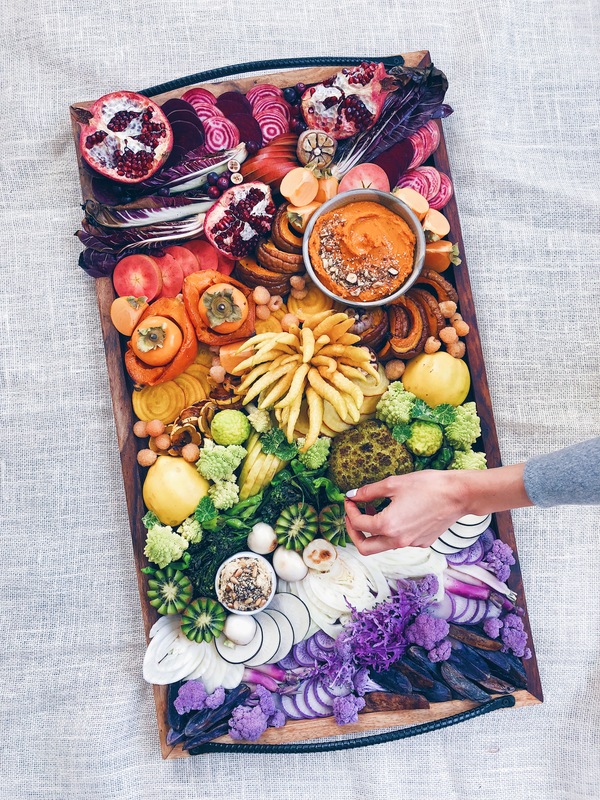 When we decided to create a completely vegan food gradient board, we both were giddy with excitement. I love playing with color and gradients, and Shannon is a rainbow queen! Snack boards are one of my absolute favorite items to entertain with. They’re so much fun to make, an impressive visual and conversation starter for any gathering and pack a nutritional punch. – Consider planning to attend your local farmers market to source your ingredients the weekend before you make your platter. If shopping at the grocery store, feel for veggies that are crisp and firm, if it is soft to the touch, skip it and try something else. If you are lucky to have a winter market where you live, these options will be the freshest, most affordable, and likely the best variety of unique and visually interesting things. – Consider color; try to select a variety of different colors when you are shopping. 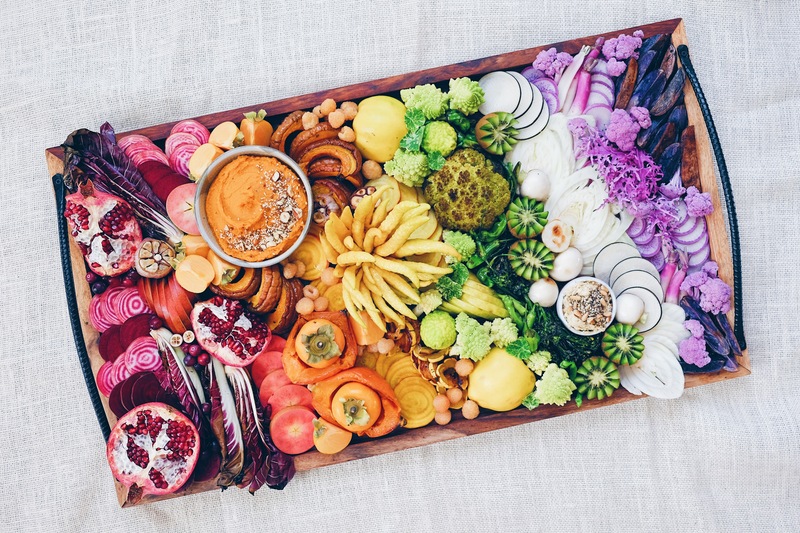 Remember colors are not only BEAUTIFUL to look at but also represent a rainbow of nutritional diversity! When you have all your prepared material ready for assemble, try setting down your first color/produce item and then ask yourself what color you would love to see next to that color? (A question borrowed from visual artist Flora Bowley‘s intuitive painting process). This will help you avoid accidentally having two or three white or tan colored vegetables all next to each other (unless this is what you’re going for). Play with c o n t r a s t. Let it be fun and creative and don’t be afraid to step back and look at it from a few feet away to get the “big picture”! – Consider shape; how you cut (or leave whole) a produce item will either invite or dissuade someone to reach for it. Whole items add beautiful visual focal points, but are not always practical for actually eating. For example I love cutting vegetables like sweet potatoes or fingerling potatoes into long slender wedges allowing you to repeat shapes and create visual cohesion. Cutting things into manageable slices or wedges also encourages people to interact and eat the food. – Lastly, don’t overthink it! Let this be a FUN and creative exercise where things are heaped and piled in a way that looks (and feels) pretty effortless. It doesn’t need to be perfect! Plan out an idea ahead or just dive in and improvise – I find this is often when I do my favorite work. Enjoy the process. And the results. These are just some suggestions to get you started. Get creative! The more flavors the better. CHEESE: Depending on the size of your board, you may want to have a variety of cheese. Be sure to include a hard cheese, a soft cheese, a goat cheese and a vegan/non-dairy nut-based cheese. 1.) Preheat oven to 400°. Roast chopped carrots in preheated oven for 25-30 minutes or until soft and golden. 2.) Combine all ingredients in a food processor and blend for about 2 minutes until smooth. This snack board is flawless! I can’t figure out what is the yellow spiky vegetable? This is amazing and so good! The photos are so creative and inspiring. And the post substantive with great suggestions. 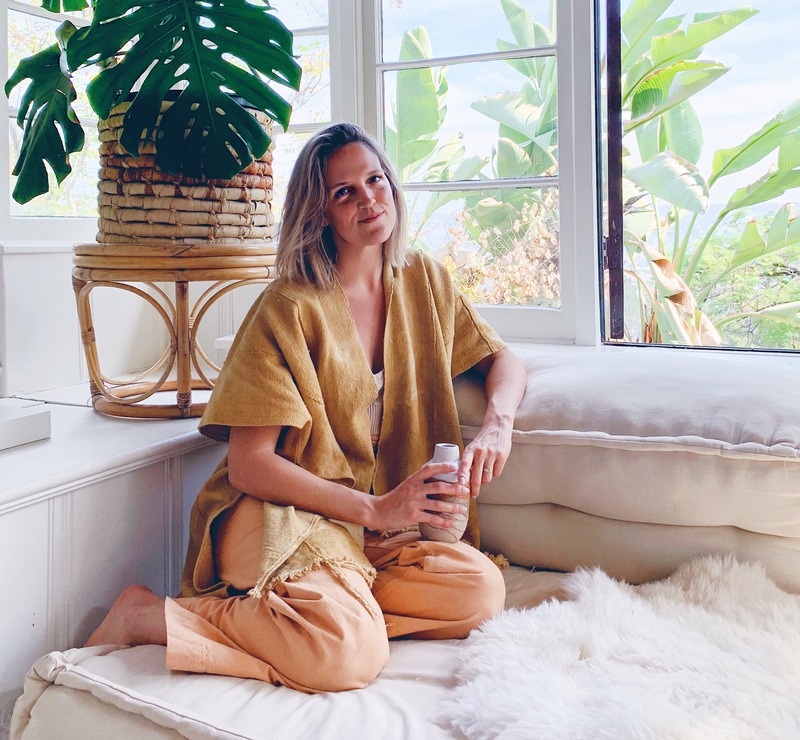 Today, I’ve shared this post and link in my newsletter for chronically ill women with the suggestion that they check you out and create a board for the Super Bowl or Winter Olympics gatherings! Thanks so much.